If you're looking for an Ashtanga yoga retreat in India, you'll be pleased to discover a wide range of instructors and disciplines. The Ashtanga Yoga Research Institute offers intensive immersion at its Mysore, India headquarters. This retreat is an opportunity to learn from the founding family of the Ashtanga yoga practice. Led by Sri K. Pattabhi Jois, also known as Guriji, and his grandson, Shareth Rangaswamy, these workshops require a minimum stay of one month, with the option to continue studies up to six months. The approximate cost of registration and a one-month workshop is $650, or 27,530 rupees. Payment is only accepted in rupees, and all participants must submit an application first and be accepted to the workshop. Accommodations and meals are not included. There is a partnership with a travel agency to assist with arranging local accommodations and transportation. 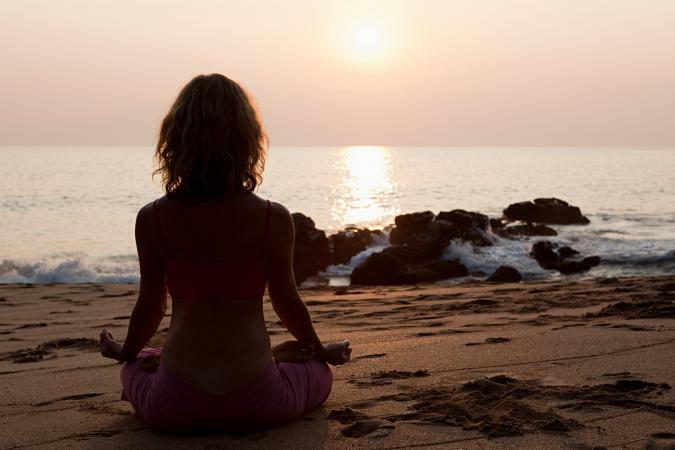 At the Purple Valley Yoga Retreat in Goa, India, you can choose from a wide variety of yoga courses and instructors. Throughout the year, the two-week retreats offered at Purple Valley cover a variety of Ashtanga disciplines, including healing, practice development, and the pursuit of certification. The center offers accommodations, vegetarian meals, and Ayurvedic spa treatments. Airport transfers can be arranged, but are not included in the cost of the retreat. Prices range from $1,500-$2,000, depending on the type of accommodations and selected course. Tribe Yoga, also located in Goa India, offers an assortment of Ashtanga yoga retreats throughout the year. Retreats are open to both beginners and more experienced yogis. Workshops include both morning and evening yoga sessions. The morning yoga sessions last approximately three hours, combined with pranayama, meditation, and relaxation techniques. The evening yoga sessions are about two hours in length.During the retreat, attendees will also enjoy a cultural Indian event, a day-trip to Paradise Beach, and a boat trip to view dolphins in the Arabian Sea. Tribe Yoga has a partnership with a travel agency in Goa that will assist with booking local flights and other transportation within India. Inquire directly about the cost of the retreat, accommodations, and meals. Ashtanga.com: Whether you want to study in India or with a particular Ashtanga instructor, this site has a comprehensive overview of extended workshops and retreats that you can sort by continent, country, date, and instructor. Yoga Retreat Centres: This site provides an overview of major yoga retreats incorporating all styles of yoga. Scroll down to find a location that appeals to you. If you plan on attending an Ashtanga yoga retreat in India for an extended period of time, you might find it more centering to stay in a local home, rather than a hotel. Siolim House: This restored Colonial villa and private home offers tasteful accommodations, meals, Ayurvedic treatments, and transportation services while you stay in Goa, India. The same family operates Little Siolim, right near the beautiful Goa beaches. Before embarking on your Ashtanga yoga retreat in India, review the U.S. Department of State travel tips for the country, including a historical background, cultural practices, safety reminders, and entry/exit requirements.